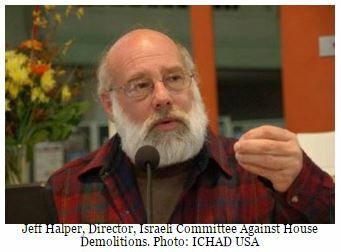 Jeff Halper is the co-founder and long-time director of the Jerusalem-based Israeli Committee Against House Demolitions (ICAHD). In August 2015 he was interviewed in England by the progressive Jewish writer Robert Cohen, and in a recent article on the Patheos web-site Cohen distills some of Halper’s current thinking on a number of issues related to the Israeli-Palestinian situation. Halper’s ideas are fleshed out in his recently released book, War Against the People: Israel, the Palestinians and Global Pacification. Typically, Israel’s critics point to America and the pro-Israel lobby in Washington or the influence of right wing Christian fundamentalists to explain the lack of international pressure to resolve the conflict. In Western Europe, we assume it’s guilt over the Holocaust that inhibits criticism by our governments. This entry was posted in Israel-Palestine Scene, Occupied Territories, Palestinians, Politics, The Occupation and tagged Arms trade, BDS, ICAHD, Israel-Palestine, Jeff Halper, Zionism. Bookmark the permalink. 3 Responses to How Does Israel Get Away With It? Tom, based on this post I went to the blog post to “read on.” Setting aside the obvious biases in Halper’s book, about which I will withhold judgment until I finish reading it, the comments attracted by Cohen’s blog post are mostly vile, anti-Semitic rants by holocaust-deniers. May I ask: by referring your readers to this blog post, do you count yourself among the others who were attracted to Cohen’s post and Halper’s book, especially the majority of the commenters, promoting their anti-Semitism and holocaust denials? James: your observations and query are well worth a response. Some of the comments you refer to, yes, are profoundly offensive– but the same is true of the reader comments that I find attached to almost any on-line news story or issues-oriented blog post, every day: 95% of them (regardless of the subject at hand, it seems) are pure rubbish. BUT, I like to think that most people, as consumers of on-line media, are able to distinguish between the content of a reasoned, responsible article versus the rantings of crazies that might get posted as comments. More to the point, any thinking person knows the difference between legitimate criticism of the State of Israel and anti-Semitism. For the record: No, I certainly do not share the hateful and historically ludicrous comments some readers have posted to Cohen’s on-line article. And, if Cohen himself had not forcefully countered and clearly distanced himself from some of the worst of it, in print, I probably would not have pointed people to the blog post. I did so because I genuinely feel both Cohen and Halper have something important to say– and I know, from following their work over time, that both have a heart for genuine, long-overdue justice in that troubled Land. Again, it’s to Cohen’s credit that he vets the comments made on his pages– and challenges the worst of them. About bias: I’ve come to believe that it’s inherent to almost any reporting or commentary on the Israeli-Palestinian situation, perhaps inherent to the human thought process itself. You say Halper’s bias is “obvious”– and that’s as it should be, in my opinion. (I hope mine is, too!) Halper’s an Israeli activist, trying desperately to bring change within his society, and to the policies and actions of his government. Maybe I’m suggesting it’s his job to be biased– against “business as usual” and toward something far more fair, humane and rational. James: If you haven’t seen it yet, you’ll be interested in Robert Cohen’s latest response to this whole problem of hateful, racist reader comments– of all stripes! In short, they will henceforth be banned from his pages. 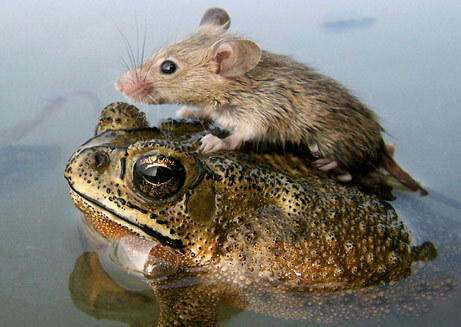 See here: https://israelpalestineguide.wordpress.com/2015/10/15/navigating-the-treacherous-cross-currents-of-blogging-about-israel-palestine/.